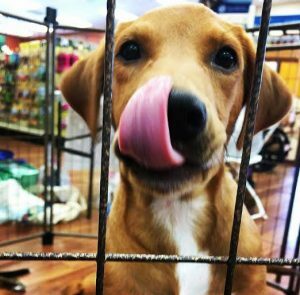 This weekend, Mr. Groom hung out with Pooch’s Partners Animal Rescue at the Pet Supermarket in Lexington, SC where they have adoptions EVERY Saturday from 12pm-4pm. This week, until supplies last, each adoption comes with a Mr. Groom gift basket! If you’re interested in learning more about Pooch’s Partners and their adoptions, visit poochspartners.com!